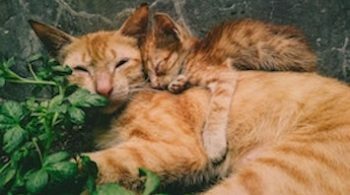 If you want to know how to keep your cats kidneys healthy naturally, you’re in the right place! 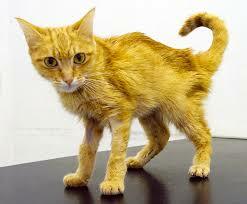 Cats suffer greatly from kidney disease. To some extent, they do naturally. But the amount seen in domestic cats is NOT natural. This means it is man-made; we cause it. If we cause it, we can cure it, we can prevent it, we can heal it. 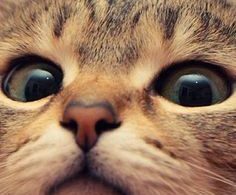 Cats naturally suffer from kidney disease because they are loners. They alone are responsible for their food and their well being. There is no pack to rely on or fall back on. This means they have super alert senses, not only to detect their prey, but also to detect a predator. The big cats, being the top predators themselves, generally don’t have to worry about predators, but the smaller cats, such our domestic cats, do have some. Being super alert and able to race after a prey animal relies on the secretions from the kidneys and tissue, such as cortisone. If they are in a natural environment, all is well. They can recover naturally. The kidneys are also the seat of fear. So if a wild cat is under unnatural and constant states of fear, the kidneys will be overloaded and may not be able to recover naturally. This doesn’t happen in happy cat homes. Obviously it can, and does, happen, but those responsible are not going to be reading this article. 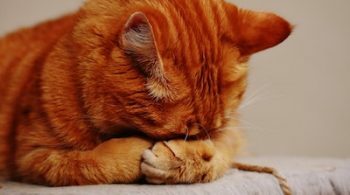 Before we get into how else kidney failure in cats occur, let’s just look at the symptoms of kidney failure in cats. These are not necessarily definitive as some symptoms can occur with other problems. But the common early symptoms can include excessive drinking, excessive urination and clear coloured urine. These can lead to any renal problem, from painful urination, to renal infections, to kidney stones, to kidney cancer. Eventually, the cat will lose weight and appear gaunt, dehydrated, with a dull coat, despite a good appetite. You can have a multitude of vet tests, at a hefty price, to tell you all the impressive sounding diseases your cat has. Drugs will then be prescribed, which will probably be for the life of your cat. But there is no mention of the cause. Wouldn’t that be a good area to examine? Yes it would, if you are an open minded person, who wants the truth. But you have to remember that vets have been well trained by the drug industry whose only mission is to make money. And lots of it. Even the nicest vets get caught up in this. Some break out to become authentic holistic vets, but not enough. If you really want to know how to keep your cats kidneys healthy, you have to know the truth about the cause. In a nutshell, the cause is the diet. It doesn’t matter what the brand is, all commercial cat food is focused on profit rather than quality and species-specific food. Cheap ingredients are used, mostly past their use by date and so discarded for human use. Yet cats aren’t dogs. They aren’t scavengers. They need VERY fresh food. The wrong food is used. Check the ingredients on your packets of cat food. All the dried food starts with plant based protein. Yet cats are carnivores. They can’t handle plant based food. But this is the main ingredient. It’s cheap. In addition, lots of chemicals are used, often under the guise of (synthetic) vitamins, minerals, antioxidants and so forth. Sound innocuous, but be assured, they are DEADLY. Cats are very sensitive to chemicals. As they are insidious, problems creeping up over long periods, only those in the know see what’s really happening. 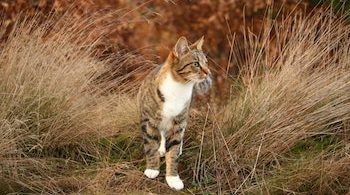 If you are really serious about learning how to keep your cats kidneys healthy, naturally or otherwise, you need to know how to feed a cat naturally, with a quality, species-specific diet. The best can, not only prevent kidney disease, it can heal existing renal problems, as well as prevent and heal all known cat health issues. Sounds too simple? Funny thing is that most solutions are simple. I think complications are created to keep us away from the truth. There is far more money to be made (I’m talking billions here) in keeping people in the dark.